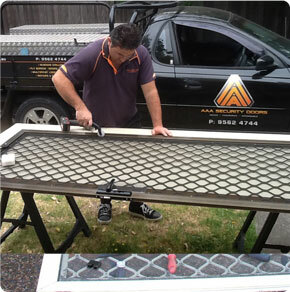 AAA Security Doors Products in Melbourne with Standard Warranty! At AAA Security Doors, we're happy to assist you with any information or service regarding security doors, steel-grille range or aluminium doors, screen doors, porch enclosures and window grilles. Based in southeast Melbourne, the areas we service include Bayside, Eastern Frankston to Malvern, Dandenong, Wheelers Hill, Wantirna, Micham, Ringwood, Blackburn and Doncaster and surrounding suburbs. Do feel free to contact us and we'll be happy to help. 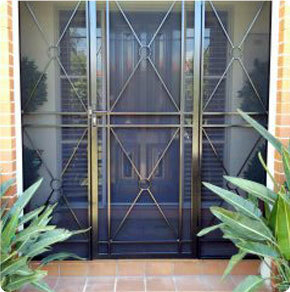 Security doors are a vital factor in ensuring that your house is a safe place to call home. Don't risk your family's safety any longer, view our wide range of security doors and choose the door suited for you. Our vast selection of security mesh provides an extra line of defence, and doubles up as a flyscreen, ensuring a safe, and well ventilated home. Thank you for the wonderful porch enclosure that you did for us. So much happened personally before Christmas that we were too busy to do much I'm afraid. Just wanted to let you know how delighted we were (and still are) with the enclosure. Fantastic first class job! :) We have recommended you to others since then. Thanks again and a very happy and prosperous 2017 to you and your families! :) Our rating for the work you did for us: xxxxxxxxxxxxxxxxxxxxxx ! 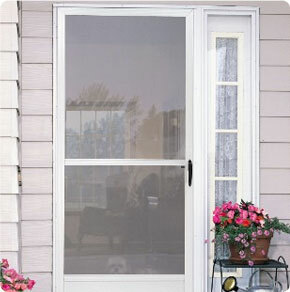 We specialize in the security door industry. Service with integrity and a smile. Free no obligation free quote. Free removal of old doors. Custom made according to your requirements. Our name says it all AAA. Advice, Assurance, Affordable.